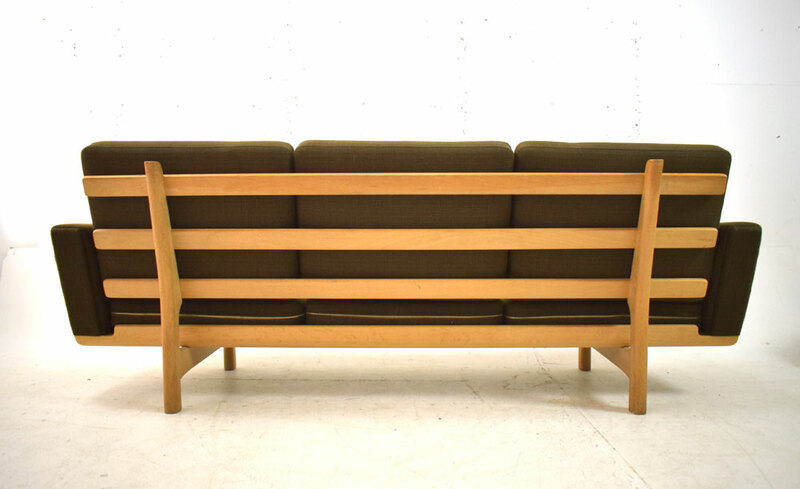 Classic Hans Wegner light oak framed 3 seater sofa with sprung cushions. Model GE236. 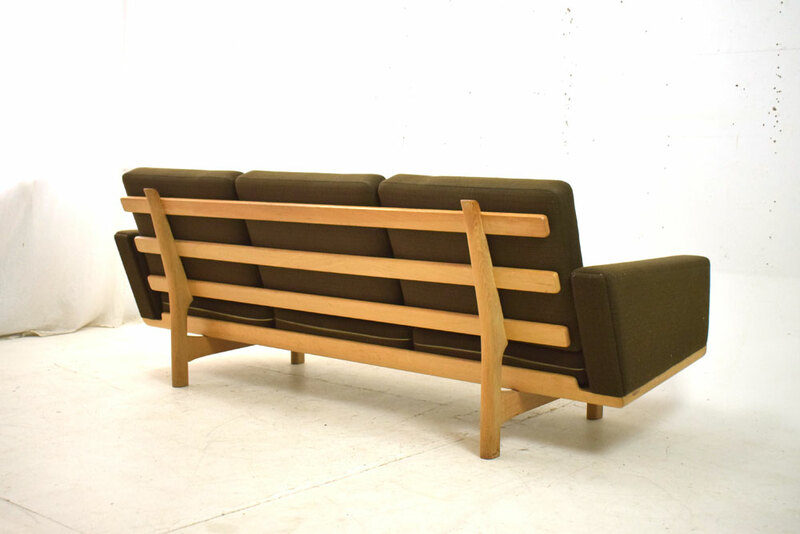 This classic sofa was designed to be light and visually impressive from all angles. 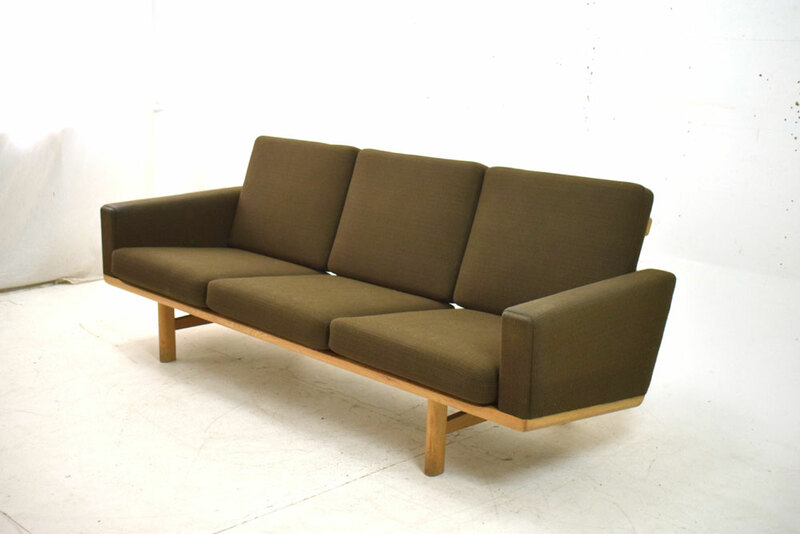 Very stylish 3 seater sofa which embodies the simple yet highyl functional aspects of Danish furniture. 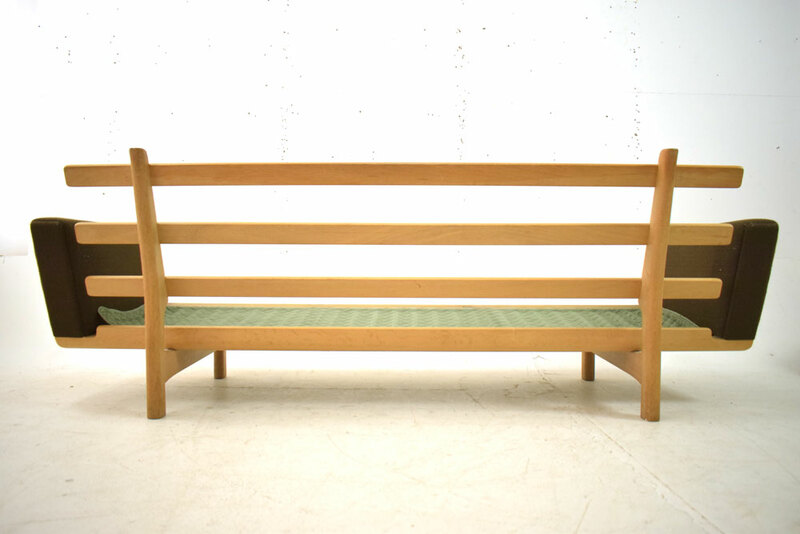 The settee is elevated above the floor which allows light to penetrate and gives a much airier appearance. 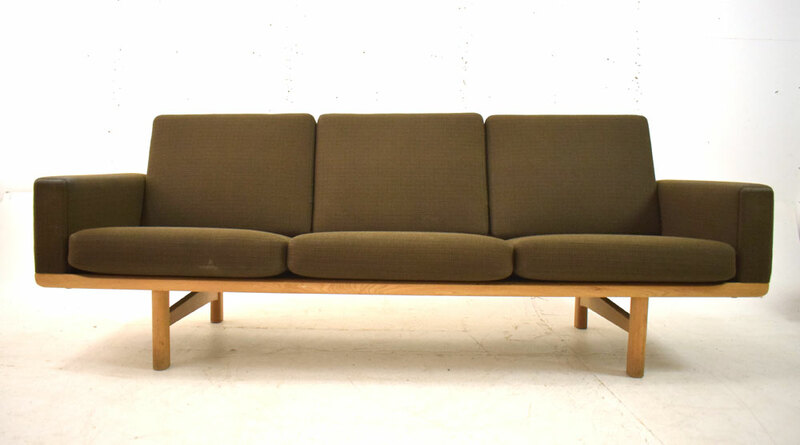 The settee has sprung cushions fitted with a new foam layer covering the metal springs. 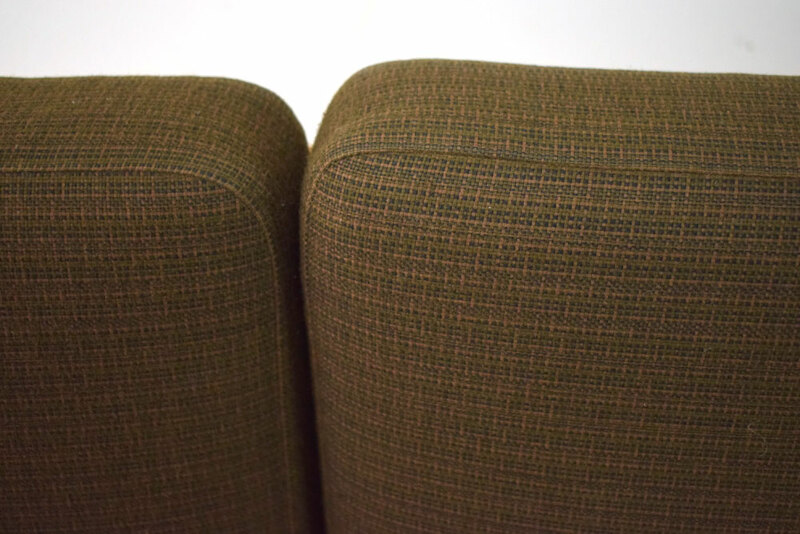 They are fully upholstered and can be used on both sides. 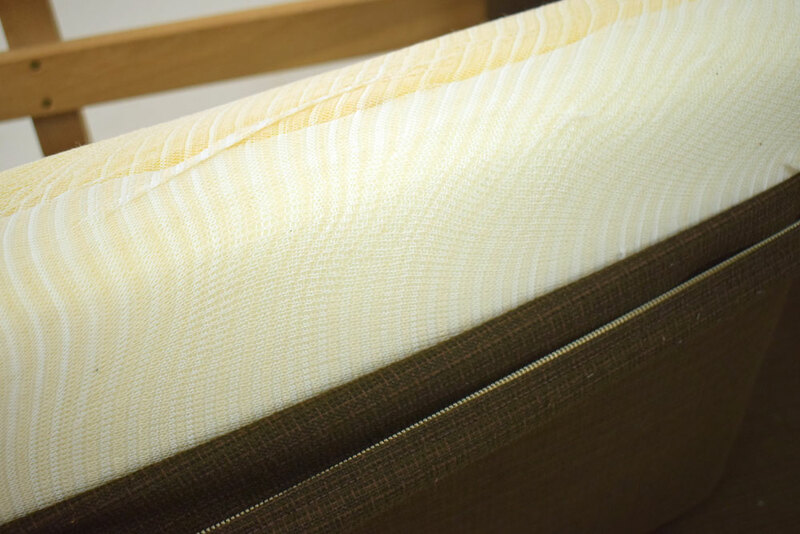 All cushion covers are zipped and easy to remove if you need to. 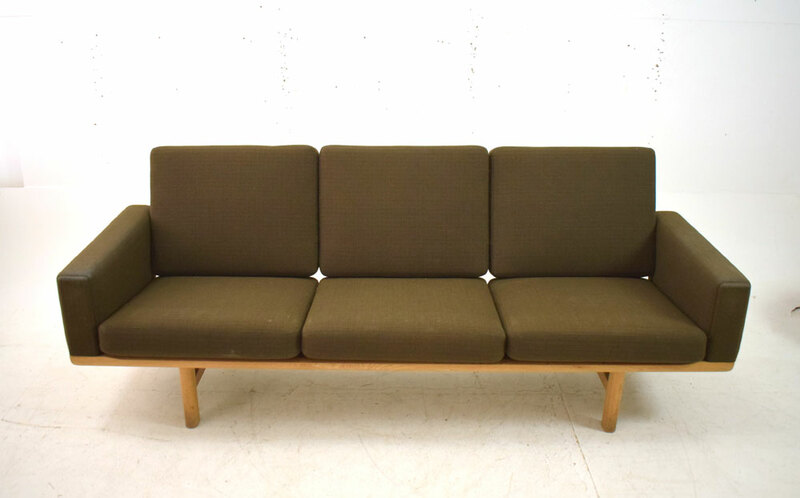 Condition: Very good with the cushions are ready for reupholstery in a fabric of your choice. 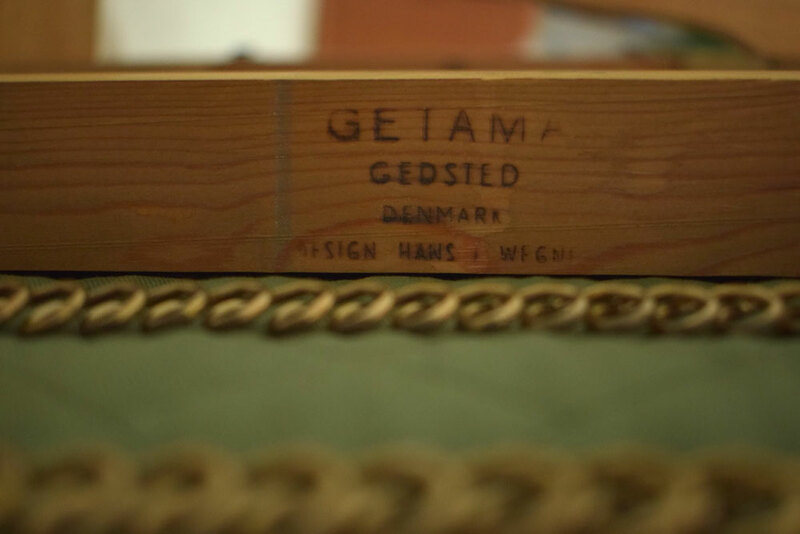 The settee is marked to frame with makers stamp and the whole settee can be dismantled for easy transport.